Bibi, F., B. Kraatz, M. Beech and A. Hill (eds.). In Press. Sands of Time: Late Miocene Fossils from the Baynunah Formation, UAE. Springer – Vertebrate Palaeobiology and Palaeanthropology Series (series editors Eric Sargis and Eric Delson). Cham, Switzerland. To see preprints of chapters from this upcoming monograph click here. Bibi, F., A. Hill and M. Beech. 2017. A Thousand and One Fossils – Discoveries in the Desert at Al Gharbia. Yale University Publications in Anthropology & Abu Dhabi Tourism and Culture Authority. ISBN: 9781933789071. For more information please go to Yale Press. Mashkour, M. and M. Beech (eds.). 2017. Archaeozoology of the Near East 9 [Hardback] – 9th Meeting of the Archaeozoology of South-West Asia and Adjacent Areas. Publication of the 9th Meeting of ASWA to honour the contribution of Hans-Peter Uerpmann and Francois Poplin to the Archaeozoology of Southwest Asia. 2 volumes, containing a total of 31 chapters. Oxbow Books. 464p. ISBN: 9781782978442. For more information please go to Oxbow books. Beech, M.J. (with assistance from A. Aqeel, A. Chabbi and A.Reddy). 2016. Sir Bani Yas and the Church of the East. Abu Dhabi Tourism and Culture Authority. Special VIP one-off edition for His Holiness The Pope. For more info click here. To see a video about the presentation of this special-edition volume, which was presented as a gift to Pope Francis by Sheikh Mohamed bin Zayed Al Nahyan, the Crown Prince of Abu Dhabi, please click here. Mashkour, M. and M. Beech (eds.). 2014. Ancient Camelids in the Old World – Between Arabia and Europe. Proceedings of a special session on Camelids in the Old World, held at the International Council of Archaeozoology (ICAZ) 2010 conference (23-28 August 2010). Anthropozoologica Volume 49 – issue 2, dated December 2014 (Print ISSN: 0761-3032 – Online ISSN: 2107-0881). Edited volume containing Preface, Foreword and 10 chapters. For more information please visit Anthropozoologica. Beech, M.J. 2004. In the Land of the Ichthyophagi: Modelling fish exploitation in the Arabian Gulf and Gulf of Oman from the 5th millennium BC to the Late Islamic period. Abu Dhabi Islands Archaeological Survey Monograph 1 – British Archaeological Reports International Series S1217. ArchaeoPress, Oxford. ISBN 1841715778. xxi + 293 pages; 126 figures, maps, plans, drawings, photographs; 232 tables; 8 Appendices of data, remains and sites. This can be purchased from BAR Publishing by clicking here. Albarella, U., M. Beech, and J. Mulville. 1996. The Saxon, Medieval and Post-Medieval Mammal and Bird Bones excavated 1989-1991 from Castle Mall, Norwich, Norfolk. Ancient Monuments Laboratory Report 72/97. 74 pages text, 41 tables, 50 figures, 47 plates, 2 appendices. Lidour, K. and M. Beech. In Press/2019. “The numerous islands of the Ichthyophagi”: the Neolithic fisheries from Dalma Island, Emirate of Abu Dhabi (UAE). Proceedings of the Seminar for Arabian Studies 49. Mashkour, M., M.J. Beech, K. Debue, L. Yeomans, S. Bernard, D. Gasparini, and S. Mery. 2016. 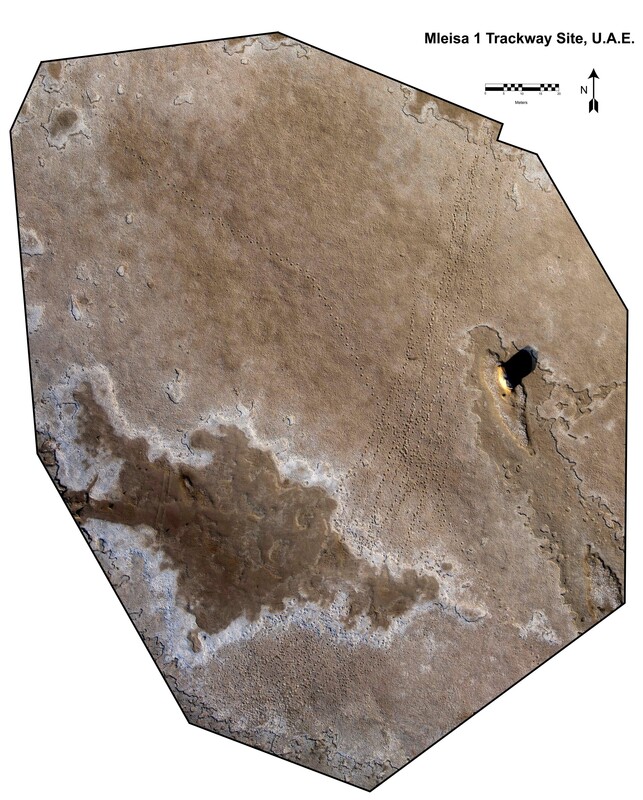 Middle to Late Neolithic animal exploitation at UAQ2 (5500-4000 cal BC): an ‘Ubaid-related coastal site at Umm al-Quwain Emirate, United Arab Emirates. Proceedings of the Seminar for Arabian Studies 46: 195-210. Dennell, R.W., L.M. Hurcombe, R. Coard, M. Beech, and S. ul-Haq. 1992. The 1990 field season of the British Archaeological Mission to Pakistan in the Baroth area of the Pabbi Hills, Northern Pakistan. In: South Asian Archaeology, 1991. Monographs in World Archaeology 14: 1-14. Beech, M. (in press). Chapter 10: Archaeological fish bones from the Farasan Islands. In: Geoffrey N. Bailey & Abdullah M. Alsharekh (eds. 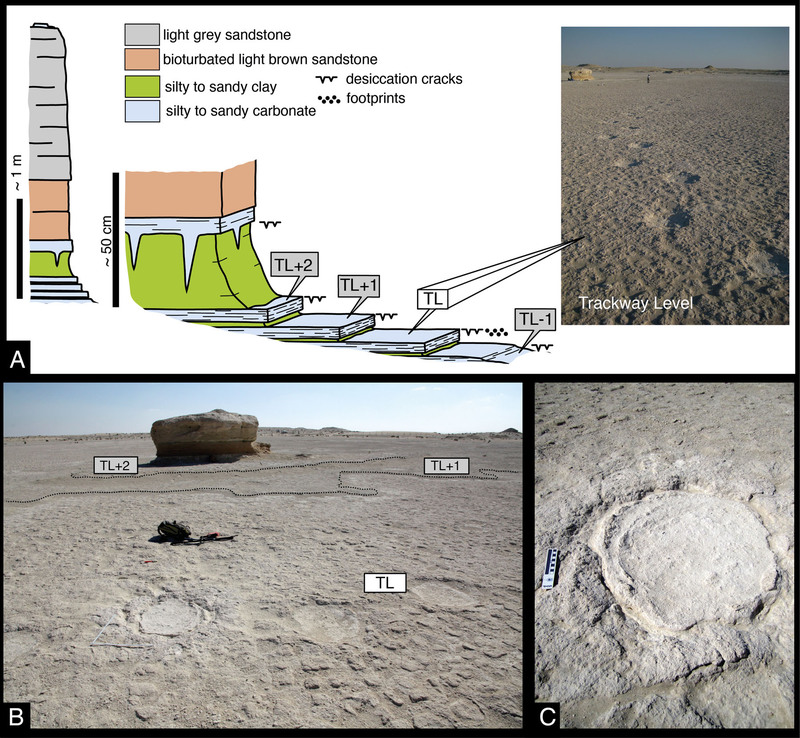 ), Palaeolithic Archaeology, Coastal Prehistory and Submerged Landscapes in Southwest Saudi Arabia and the Farasan Islands: DISPERSE Field Reports, 2012-2015. Saudi Commission for Tourism and National Heritage, Riyadh. Alsharekh, A.M., Bailey, G.N., Momber, G., Moran, L.J., Sinclair, A., Williams, M.G.W., Al Shaikh N., Al Ma’Mary, A., Alghamdi, S., Al Zahrani, A., Aqeeli, A., Laurie, E.M. and Beech, M. 2014. Report on the 2008 fieldwork of the joint Saudi-UK Southern Red Sea Project. pp. 77–158. In: A.M. Alsharekh and G.N. Bailey (eds) Coastal Prehistory in Southwest Arabia and the Farasan Islands 2004–2009 Field Investigations, Riyadh: Saudi Commission for Tourism and Antiquities. Series of Archaeological Refereed Studies No 15. King Abdullah Project for Cultural Heritage Care. ISBN 978-603-8136-01-0. Albarella, U., M. Beech, J. Mulville and J. Huddle. 2009. Chapter 3.III. The Anglo-Saxon Period (5th century to c. 1067-70) – Antler- and Hornworking. Page 175. Albarella, U., M. Beech and J. Mulville. 2009. Chapter 4.IV. The Anglo-Saxon Period (5th century to c. 1067-70) – Zoological and Botanical Evidence – Mammal and Bird Bone. Pages 180-185. Huddle, J., with U. Albarella, M. Beech & J. Mulville. 2009. Chapter 5.III. Norman Conquest (c.1067-70 to 1094/early 12th century) – Bone- and Hornworking. Pages 347-8. Albarella, U., M. Beech and J. Mulville. 2009. Chapter 5.IV. Norman Conquest (c.1067-70 to 1094/early 12th century) – Zoological and Botanical Evidence – Mammal and Bird Bone. Pages 350-353. Albarella, U., M. Beech and J. Mulville. 2009. Chapter 6.IV. Norman Castle and City (c.1094 to 12th century) – Zoological, Botanical and Micromorphological Evidence – Mammal and Bird Bone. Page 443. Albarella, U., M. Beech and J. Mulville. 2009. Chapter 7.IV. Castle and City before c.1345 – Zoological and Botanical Evidence – Mammal and Bird Bone. Pages 526-528. Albarella, U., M. Beech, J. Mulville and J. Huddle. 2009. Chapter 8.III. Castle Decline and City Encroachment (c.1345 to mid/late 16th century) – Hornworking. Pages 632-3. Albarella, U., M. Beech and J. Mulville. 2009. Chapter 8.IV. Castle Decline and City Encroachment (c.1345 to mid/late 16th century) – Zoological and Botanical Evidence – Mammal and Bird Bone. Pages 636-7. Huddle, J., with U. Albarella, M. Beech & J. Mulville. 2009. Chapter 10.III. Antlerworking. Pages 878-9. Albarella, U., M. Beech & J. Mulville, with J. Huddle. 2009). Chapter 10.III. Hornworking. Pages 879-880. Huddle, J., with anatomical description by U. Albarella, M. Beech & J. Mulville. (2009). Chapter 10.III. Bone sledge runners. Pages 886-888. Albarella, U., M. Beech and J. Mulville. 2009. Chapter 10.IV. The Second City (late 16th to 18th century) – Zoological and Botanical Evidence – Mammal and Bird Bone. Pages 893-896. Albarella, U., M. Beech and J. Mulville. 2009. Chapter 13.II. Trade, Industry, Technology and Economy. Mammal and Bird Bone at Castle Mall. Pages 995-1007. Albarella, U., M. Beech and J. Mulville. 2009. Chapter 13.III. Occupations, Crafts, Industry and Trade. Bone- and Hornworking. Pages 1030-1031. Beech, M. 2008. Animal bones. In: Past and Present: Excavations at Broom, Bedfordshire 1996-2005 by Anwen Cooper and Mark Edmonds. Illustrations by Andrew Hall. Cambridge Archaeological Unit. 281 pages. Hardcover. ISBN-13: 978-0-9544824-4-2. ISBN-10: 0-9544824-4-1. Beech, M. 1993. A report on animal bones from the Bell Beaker settlement at Liptice. N.W. Bohemia. Czech Republic. In TUREK J. (ed.). Osídlení z období zvoncovitých poháru v povodí řeky Bíliny v severozápadních Čechách. Unpublished Thesis. Department of Archaeology. Charles University. Prague, pp. 191-198. Beech, M. 1992. Animal Bones. Page 284, in: K.D. Politis, Excavations at Deir ‘Ain ‘Abata 1991. Annual of the Department of Antiquities of Jordan 36: 281-290. Beech, M. 2012. Review of XTACH 2011 – International Conference on the Use of X-ray (and related) Techniques in Arts and Cultural Heritage. e-conservation magazine 23, pp. 22-30. Aspinall, S., B. Boer, M. Ziolkowski, P. Hogarth and M. Beech. 2002. Biosphere Reserve Study, Sharjah, UAE. Report submitted to Environment and Protected Areas Authority (EPAA), Government of Sharjah by UNESCO. Beech, M. and M. Kuna. 1993. Archaeological Theory in Europe – The Last Three Decades. Book review (in Czech). Archeologické rozhledy 45.2: 349-350. Jones, R.T., J. Sly, M. Beech, and S. Parfitt. 1987. Burgh, Suffolk: The Vertebrate Remains. Ancient Monuments Laboratory Report 14/87. Beech, M. 1979. Archaeology Word Search. Young Rescue Newsletter No.25 (Spring 1979): 6. Beech, M. 2014. 2013 – Peter Hellyer – Abu Dhabi Awards (11 March 2014) – Attended the Abu Dhabi Awards ceremony at the Emirates Palace Hotel. Peter Hellyer, previously Executive Director of the Abu Dhabi Islands Archaeological Survey (ADIAS), received one of the awards. I briefly feature in the short film clip which introduced Peter prior to him being presented with the Abu Dhabi Award by H.H. Sheikh Hazza bin Zayed Al Nahyan, National Security Advisor, and Vice Chairman of Abu Dhabi Executive Council. Beech, M. 2008 – present: Installation of permanent exhibition of Late Miocene elephant fossils, Abu Dhabi 8 Million Years Ago. Environment Agency – Abu Dhabi headquarters building – Marmora A building, 3rd floor. Outside the office of the Director-General of the Environment Agency, Her Excellency Razan Al Mubarak. Higgs, W. and M. Beech. 2005. Fossils from Western Abu Dhabi – The Animals of 8 Million Years Ago (4 mins, 12 secs). Presentation produced and directed by Will Higgs and Dr Mark Beech, Abu Dhabi Islands Archaeological Survey (ADIAS), for the exhibition, Abu Dhabi 8 Million Years Ago. Environment Agency – Abu Dhabi. Part of the DVD, “Abu Dhabi 8 Million Years Ago – Fossils from the Western Region”. Available in Arabic and English. [see an online version ==>]. Beech, M., W. Higgs, A. Hafeez and I. Hafeez. 2005. Abu Dhabi 8 Million Years Ago – Fossils from the Western Region exhibition. This was a permanent exhibition installed in the foyer of the former Environment Agency – Abu Dhabi headquarters building in Khaladiyah (Old Zadco building), from 2005-2008. The exhibition was inaugurated by H.E. Majid Al Mansouri (former Director-General of the Environment Agency – Abu Dhabi, now Chairman – Department of Municipal Affairs, Abu Dhabi).